Our methods for teaching K-12 mathematics have changed considerably over the last 100 years, but in some ways, the experience of studying mathematics has not changed much at all. Ideally, every learner would come to class excited about math, ready to dive into rich and fulfilling concepts, but in reality, many students are disengaged with math and in school in general. Teaching in the face of disengagement is hard. Fortunately, learning scientists and education researchers have discovered quite a bit about disengagement, and how to teach in a way that makes math appear interesting, exciting, and engaging to students. Not all disengagement in created equal. Different forms of disengagement may stem from the same root causes, but, often times, the emotions students experience and the disengaged behaviors they display are associated with very different outcomes. There have been hundreds of studies on off-task behavior and learning, and a clear consensus is emerging: In traditional classrooms, where students work alone, off-task behavior is associated with mildly poorer learning outcomes. In classrooms where students work collaboratively, there appears to be no relationship between-off task behavior and learning. In fact, off-task behavior actually has some benefit. Gregory Moore and his colleagues found that when a student is bored, briefly going off-task could refresh students and improve their emotional state — an improvement that they carry back to their work. (Moore et al. 2011). Boredom can have negative impacts in several ways. It is difficult for a student to move from boredom to more positive emotional states that are associated with better learning, such as engaged concentration or even confusion. Boredom tends to follow frustration — a student struggles and then gives up and becomes bored. Once students become bored, they tend to stay bored, and once a student has given up, it is hard to recapture them. For example, my research group has found that many students who become bored using computer software in classrooms tend to then game the system, trying to complete mathematics problems by tricking the software into letting them move on without learning the material (for example, by systematically guessing or by over-using hint features). A student who makes careless errors is missing opportunities to learn. They are generally highly knowledgeable students, but these students often underperform relative to how much they know. Carelessness can be also be seen as the opposite of conscientiousness and self-discipline, which have been repeatedly shown to correlate to academic success, from K-12 through to higher education. How Do I Improve Engagement in the Classroom? Research into this question is ongoing. We haven’t reached the final answer, in part because the world being studied is changing. Our pedagogical methods are changing, and the children we are teaching are changing. Use personalized learning systems: These tend to engage students better than traditional lectures. individual work, or even games do. This is because personalized learning is more interactive: Students are continually engaged in activities with a system that responds to them. These systems also help empower the teacher by providing them with analytics reports on student engagement, performance and success. This offers the opportunity for proactive remediation, allowing the teacher to intervene before the student can give up or become bored. Re-direct attention: Off-task behavior can often be frustrating to teachers, but they can use it to their advantage when it comes to boredom. While it may not be feasible or even desirable to encourage students to go off-task, it may be possible to re-direct students to other learning activities in order to re-engage them. If many members of a class are becoming bored, a new class activity can be chosen. If only a small number of students are becoming bored, they can be redirected to different activities. Address gaming the system: Perhaps the best approach was conceived by Ivon Arroyo and her colleagues who found that explaining to students why gaming the system leads to poorer learning outcomes reduces how often they game the system and improves their learning. Teach self-discipline: Teaching self-discipline to students can lead to better performance outcomes, even as early as preschool. Teachers can help students learn self-discipline in the context of homework activities by having students log their homework activities and then reviewing students’ homework habits with them. Although considerable research is still needed on how to best support all students in surpassing disengagement in mathematics, several approaches have been successful at re-engaging students and helping them learn the self-discipline necessary to avoid disengagement and succeed at learning. For more about teaching in the face of disengagement, download the white paper below. 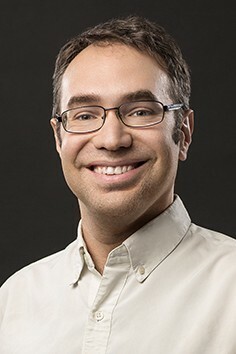 Ryan Baker is Associate Professor at the University of Pennsylvania and Director of the Penn Center for Learning Analytics. His lab researches engagement and robust learning to find indicators that can predict future student outcomes. Baker was the founding president of the International Educational Data Mining Society and serves as an Associate Editor of two journals. Baker has co-authored published papers with over 250 colleagues.